The Lord is Risen, Alleluia! He is Truly Risen Indeed, Alleluia! This is the day the Lord has made; let us rejoice and be glad, Alleluia! (Divine Office Liturgy of the Office, Easter Octave Antiphon). He is Risen, He is truly Risen, indeed, Alleluia! The joy continues! For the rest of the world Easter ended at midnight. However, as Catholics we have the grace of celebrating the Resurrection of Christ with the highest solemnity, for eight days. 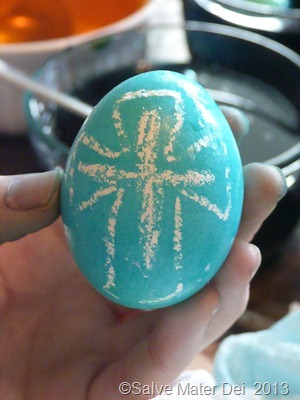 Throughout these eight days, or Octave of Easter, each day is recognized as a sort of mini-Easter. The celebration continues and blessings flow. While they were going, some of the guard went into the city and told the chief priests all that had happened. The chief priests assembled with the elders and took counsel; then gave a large sum of money to the soldiers telling them, “You are to say, ‘His disciples came by night and stole him while we were asleep. And if this gets to the ears of the Governor, we will satisfy him and keep you out of trouble.” The soldiers took the money and did as they were instructed. . . . (MT 28: 8-15). A recurrent theme in this Gospel passage is trepidation. Two groups of people have encountered the reality of Christ’s Resurrection, yet their response is very different. There is a stark contrast between the two paragraphs, while both deal with a response of fear. The women are described as “fearful, yet overjoyed” and they run to announce the Good News of the Resurrection to the equally frightened disciples. While the women experience fear and awe, they are able to move past it. 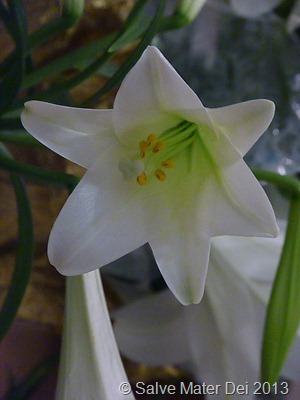 They embrace Our Lord, both His Risen physical body, and embrace the concept of His Resurrection. They do not understand, yet they believe, and accept His exhortation to “Be not afraid,” and proclaim with joy all they have seen. As they move forward, one perceives a sense of Light transcending them. On the other hand, we have the guards, strong Roman men, battled hardened soldiers, who fell down “as dead men” at the sight of the Resurrection, and quiver in fear as they approach the chief priests and the elders. One wonders which frightened them more – the vision the angel, whose appearance was that of lighting, descending from Heaven to roll back the stone, and who revealed the empty tomb or the wrath of Pilate and the Council. Either way, they were terrified. We sense the darkness of their hearts, the darkness of the situation. They were offered bribes to hide the most significant Truth ever witnessed by human eyes, and they capitulate. Likewise, the religious elders and chief priests seem equally shrouded in darkness and fear. They know the truth – they crucified the Messiah, and now He is Risen. If He is strong enough to conquer death, do they really think their secret will last forever? They don’t care. They would rather perpetuate a lie, than embrace the reality of the Resurrection. Perhaps there is no better way to tell our brothers and sisters about the love of the Risen Christ than to spread the message about Christ’s Divine Mercy. As this glorious week unfolds, we continue our preparation for the Feast of Divine Mercy Sunday which occurs on the Sunday following Easter. Thus, in preparation we continue our novena of Divine Mercy Chaplets. This chaplet is prayed on ordinary rosary beads. 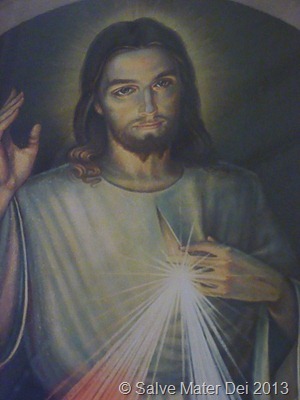 For complete instructions please visit the Divine Mercy website run by the Marians of the Immaculate Conception: http://thedivinemercy.org/message/devotions/praythechaplet.php. Today we also continue the novena our Lord dictated to St. Maria Faustina for her private use. Each day, Jesus directed St. Faustina to pray for a specific group of souls, immersing them into the abyss of His Mercy, and pleading for them before the throne of the Heavenly Father. Like Sr. Faustina, let us beg the Heavenly Father to “draw them to the light of the Gospel,” that they too may extol the mercy of God for endless ages. Father, You give your Church constant growth by adding new members to your family. Help us to put in action in our lives the Baptism we have received with faith. We ask this through Our Lord, Jesus Christ, Who lives and reigns with You and the Holy Spirit, One God forever and ever. Amen (Divine Office, Liturgy of the Hours, Monday Morning within the Octave of Easter). ** Divine Mercy Celebrations will be held at churches world-wide in accordance with Our Lord’s directive to St. Maria Faustina. Confessions, Holy Mass (often at 3 p.m.) and the singing of the Chaplet of Divine Mercy usually occur at these events. There is a true outpouring of grace at these events. Contact your local Archdiocesan Office for details and locations of hosting churches. Holy Saturday begins with a mix of emotions. While a growing sense of anticipation is palpable an acute tinge of sorrow remains. 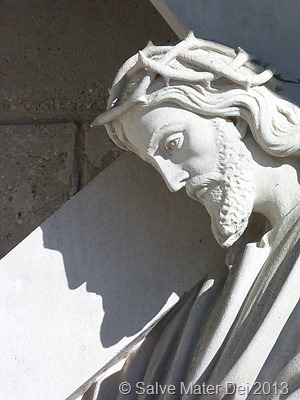 Good Friday was physically and emotionally exhausting – and if celebrated deeply, it should be. 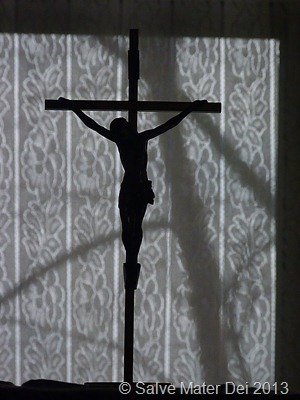 By Good Friday Night Prayer, our bodies should be feeling the effects of a day of strict fasting, and just as our hearts and souls ache from contemplating the suffering and death of our Lord, Jesus Christ. As we settle down to slumber with a “May the all-powerful Lord grant us a restful night and a peaceful death,” still on our lips from Night Prayer, we entrust body and soul to the compassionate and providential care of Our God. Lord Open My Lips and My Mouth Will Proclaim Your Praise! SalveMaterDei.com, 2014. Holy Saturday morning finds us waiting in anticipation. 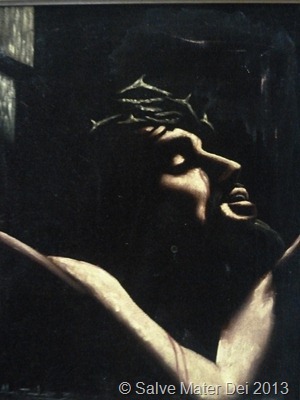 Last night, my older children and I stayed up and watched the movie, “The Passion of Christ.” Each Good Friday, we watch it together, and I am profoundly shaken by the depth of our Lord’s Mercy and the significance of His Slavific Sacrifice. Throughout this Holy Saturday, I have found myself reflecting on Our Lord’s Harrowing of Hades – yes , even in death He was not asleep – but rather extending His Mercy to those who had fallen asleep in the promise and Hope of a Redeemer. 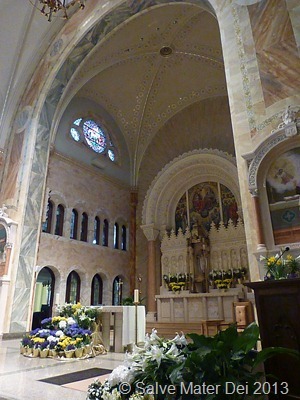 As I brought my kids to the Basilica of the National Shrine of Mary Help of Christians for an early morning practice for tonight’s Easter Vigil, the flowers has been lovingly arranged around the main altar and Shrine chapel. The tabernacle remains empty – someone is missing. Yet, the Resurrection is a certainty – it has been promised and our redemption is at hand. Today, as we prepare to celebrate the most sacred Solemnity of the year, let us strive to profoundly adore our Crucified Christ with all of the devotion and love we can possibly offer. 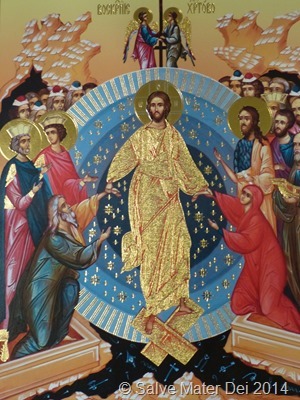 By worshipping Him intensely and immersing ourselves in the mystery of salvation, may we be blessed to share fully the Glory of His Resurrection for all Eternity. As we prepare for the jubilant celebration of Easter, and the glorious octave that will follow, with gratitude we turn our gaze toward the unfathomable gifts our Lord bestows in His immeasurable love. The greatest of these is His Mercy. As we prepare for the Feast of Divine Mercy, which occurs exactly one week after Easter, we reflect upon the immeasurable depth of God’s Mercy, and our personal response to that gift. We thus continue our preparation for the Feast of Divine Mercy, a Feast instituted by Our Lord, on which He tells us that “the very depths of His mercy are open.” In preparation, we continue our novena of chaplets. Contemplating His Mercy, Adoring The Crucified Christ SalveMaterDei.com, 2013. Today we also continue the novena dictated by our Lord to St. Maria Faustina. This novena, initiated for her private devotion, offers spiritual fruit for all who pray it faithfully. On each of the nine consecutive days prior to the Feast of Divine Mercy, Jesus requested that St. Faustina immerse a certain group of souls in the ocean of His Mercy. Our Lord would in turn bring those souls into the House of Our Heavenly Father. On the second day of the novena, Sr. Faustina was instructed to pray especially for the souls of the priests and religious. “Most Merciful Jesus, from whom comes all that is good, increase Your grace in men and women consecrated to Your service,* that they may perform worthy works of mercy; and that all who see them may glorify the Father of Mercy who is in heaven. Like St. Maria Faustina, let us endeavor to bring the souls of priests and religious into to abyss of Christ’s mercy. These faithful men and women are consecrated to the service of the Lord. They are the beloved laborers in His vineyard. Without them the channels of grace would close. 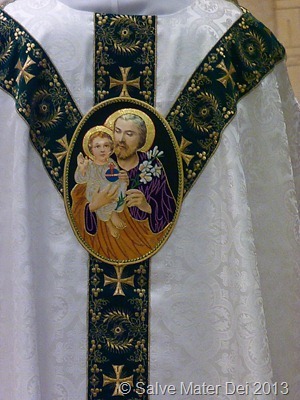 Without priests, we would not have the Holy Sacrifice of the Mass [nor for our Eastern brethren, the Divine Liturgy]. There would be no one to Baptize, washing away the stain of original sin, and bringing the Light of the Holy Spirit to our souls, and those of our children. Without priests there would be no Eucharist to nourish our souls, nor sacrament of penance to reconcile us to God when we had rejected His love. Without priests, we would have no hope of becoming soldiers for Christ, or having our marriages become truly sacramental unions. Without priests, our souls would never have the sacramental grace given as we prepare to leave this life and enter into the next. Our priests are a treasure, one this secular world often despises and rejects. Who Prays for You? 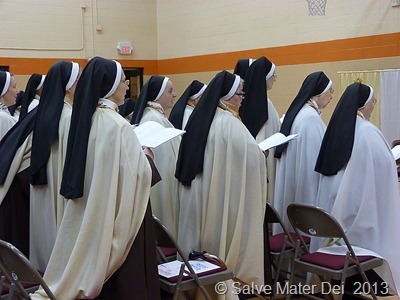 Religious Sisters and Brothers leading Hidden Lives Rich in Grace. SalveMaterDei.com, 2014. So too let us remember the religious sisters, monks and brothers who support the church and the society with prayer, sacrifice, and works of charity. These hidden souls labor perpetually for the salvation of the world, and receive little positive attention for their monumental efforts. Just as the secular world disdains the priests so too it seems to revel in ridiculing the very existence of religious sisters and brothers. In appreciation for the tremendous gift of priests and religious, let us follow Christ’s request, and immerse them in the abyss of His mercy, and present them to the Heavenly Father for His blessing. Wishing you and yours the joy of a glorious Easter, and Blessed Pascha. My Servant Shall Prosper, He Shall Be Raised High and Greatly Exalted. . .
See, my servant shall prosper, he shall be raised high and greatly exalted. Even as many were amazed at him- so marred was his look beyond human semblance and his appearance beyond that of the sons of men – so shall he startle many nations, because of him kings shall stand speechless; for those who have not been told shall see, those who have not heard shall ponder it (Isaiah 52:13- 15 from the First Reading, Good Friday Liturgy). The Sacred Paschal Triduum commemorates the holiest days of the Church year. 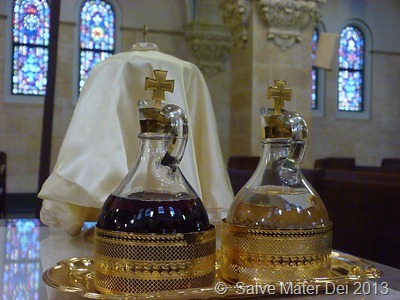 Last night the Triduum commenced with the Mass of the Lord’s Supper. At this Holy Mass we celebrated both the institution of the Holy Eucharist and commissioning of the sacred priesthood, while contemplating the night on which our Lord was betrayed. 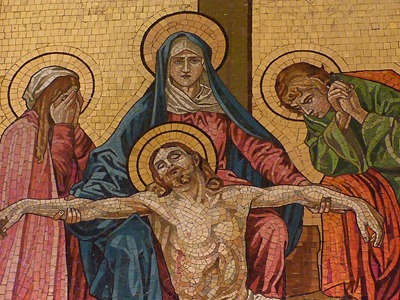 Today, on Good Friday, we gaze upon the suffering face of our Lord as we accompany Him along the, Via Crucis; the Via Dolorosa – the Way of the Cross. Around the world many of us walked (literally and figuratively) with our fellow Christians, and commemorated the Sacred Passion of Our Lord by praying the fourteen Stations of the Cross. 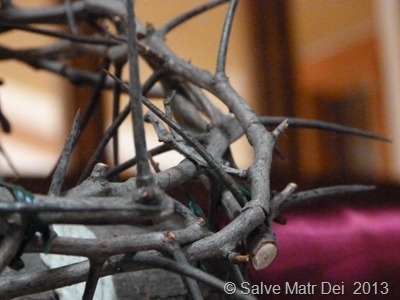 Through the celebration of the Good Friday Liturgy, we recall the most pivotal event in the history of human kind: the day on which Our Lord suffered, was crucified, and died to pay the penalty of our sin. On this day we pause and recall our own sins, and the burden our actions have added to Our Lord’s sacred shoulders. While this is a solemn, somber celebration of our Lord’s passion and death, there is also a glimmer of joy; for in His passion and death is the ultimate expression of merciful love. It is no coincidence that today we also begin to prepare for the Feast of Divine Mercy. That preparation begins with the novena of Mercy. For the next nine days, I will post a brief reflection, a reminder to pray the Chaplet of Divine Mercy for the novena requested by our Lord, and the link to the novena which our Lord dictated on Good Friday 1937 to St. Maria Faustina for her private use in preparation for the Feast of Divine Mercy. The Divine Mercy Chaplet is to be recited on ordinary Rosary Beads. After making the Sign of the Cross, one then recites an Our Father, a Hail Mary, and the Apostles Creed. While Our Lord requested this novena of Chaplets not only for St. Maria Faustina, but the whole world, He also gave her a private novena. In this novena, Our Lord invites Sr. Faustina to immerse a particular group of souls into the abyss of His mercy each day, so that in turn He may bring these souls to the Heavenly Father. Over the years, I have found this novena tremendously fruitful. Our Lord Jesus loves each of us immeasurably. He came into the world to testify to the truth of that love, and to lay down His life in reparation for our sins. It is for sinners that He came into this world, and for sinners that He died and rose again victorious. Therefore, it is fitting that this first day of the novena be dedicated to sinners. ( Divine Mercy in My Soul, Congregation of Marians, 1987). In this first day, St. Faustina immerses each of us into the abyss of God’s mercy, an abyss so deep that even death could not fill it. As we journey from the Cross to the Resurrection, let us join St. Maria Faustina in immersing all of humankind, but most especially all sinners, in Christ’s Mercy, with the hope that He will in turn eventually bring them home to His Father’s House. Rarely do I re-post from another site. However, today my son posted this 54-Day Novena for Peace in the Ukraine on his blog, God Alone Sufficeth. The situation in the Ukraine is complex and heart-wrenching. There are no easy human answers to the conflict. We pray for peace, for safety, for forgiveness and calm. Please consider joining our family as we turn to Our Lady – the Most Holy Theotokos – in supplication, pleading that she intercede with Her Divine Son to bring His Peace to this deep discord. In light of the present Ukrainian crisis, and realizing that there really are no advantageous “human solutions” to the current disturbing situation, I believe it is imperative that we take advantage of our only effectual means of solving this calamity – prayer. Therefore, I am inviting you all to join me in a 54 Day Rosary Novena for peace in the Ukraine. Magnified by the fasting and coupled with the intense graces associated with the Sacred Season of Lent, these prayers are truly our only hope and they are effective, even if we never see or recognize the results. In the Roman Rite, we have a tradition of reciting a 54 Day Rosary Novena (also known as the “Irresistible Novena”). This Novena consists of praying 5 decades of the Holy Rosary each day for 27 days in petition; followed immediately by praying 5 decades again for 27 days in thanksgiving, whether or not the request has been granted. Jesus Christ, Sovereign King of the World – have mercy on us and grant us peace! Most Holy Theotokos – save us! Our Lady, Queen of Peace – pray for us! Thank you for joining me in praying this Novena. Please share it with your friends and invite them to unite in prayer. Just to let everyone know, this is for prayers ONLY – no comments on the politics please!!!!! I know that this topic has the potential to evoke strong emotions. However, for the sake of the peace that we are trying to promote and prayerful attitude we are trying to maintain, just prayers please – any comments of a political nature will be promptly deleted. I am deeply grateful that no such problems have arisen so far. Please continue to pray. St. Joseph Foster-Father of Jesus, Pray for Us! 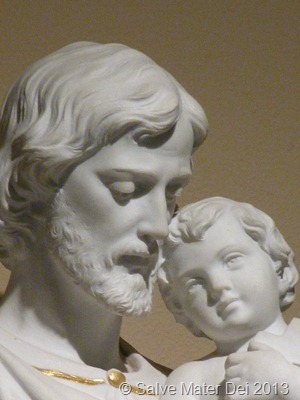 St. Joseph, Foster-father of Jesus, Pray for Us! © SalveMaterDei.com, 2013. St. Joseph’s intercession is powerful. 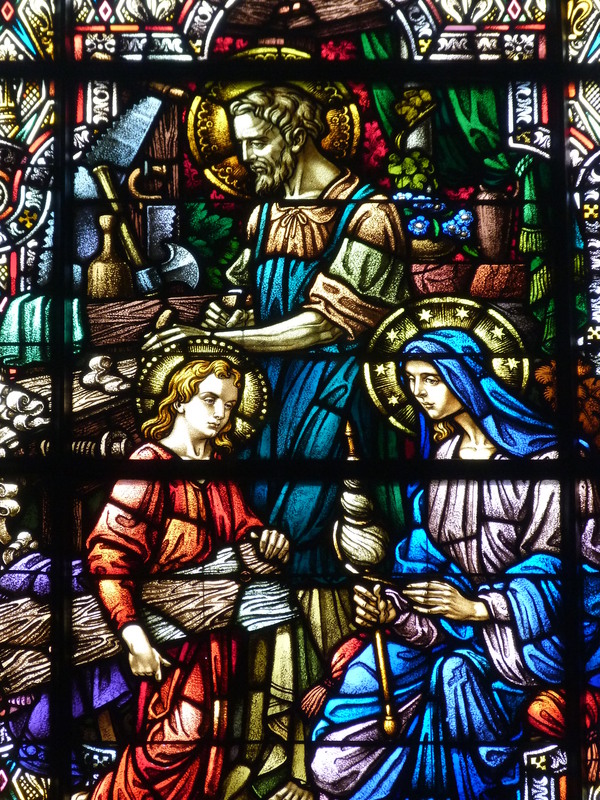 Not only is St. Joseph the patron of the Universal Church, but he is also the patron of fathers, carpenters, woodworkers, cabinet makers, laborers, bakers, confectioners, and pastry-makers. 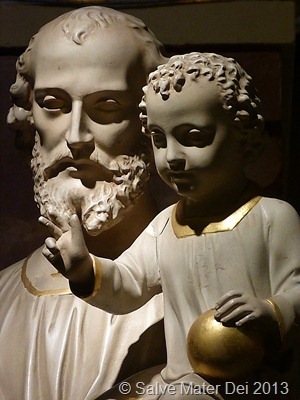 As a father and laborer, St. Joseph’s intercession is often sought by those fathers who are unemployed or under employed. Sacred Tradition also holds that Joseph was blessed to die with Jesus and Mary at his side, and as such is invoked as the patron of a happy death. No less than ten countries have officially named St. Joseph as their patron, including: Austria, Belgium, Bohemia, Canada, China, Croatia, Korea, Mexico, Peru and Vietnam. 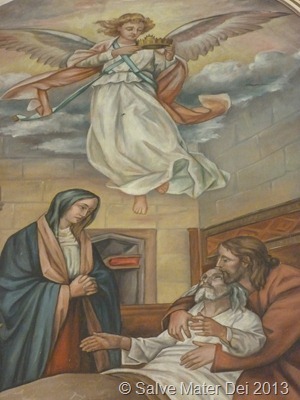 Likewise, St. Joseph is proclaimed as patron of hundreds of cities and towns, and innumerable hospitals, schools, churches, convents, monasteries and oratories are dedicated to his protection and thus bear his holy name. Among Catholic devotions, the novena is a powerful method of prayer. The following Thirty-Day Novena is very old, and may be initiated at any time. However, as we begin this month dedicated to the honor of St. Joseph, perhaps it is a fitting time to devote ourselves to seek the intercession of this powerful Saint. Ever blessed and glorious Joseph, kind and loving father, and helpful friend of all in sorrow! You are the good father and protector of orphans, the defender of the defenseless, the patron of those in need and sorrow. Look kindly on my request. My sins have drawn down on me the just displeasure of my God, and so I am surrounded with unhappiness. To you, loving guardian of the Family of Nazareth, do I go for help and protection. Listen, then, I beg you, with fatherly concern, to my earnest prayers, and obtain for me the favors I ask. I ask it by the infinite mercy of the Eternal Son of God, which moved Him to take our nature and to be born into this world of sorrow. I ask it by the weariness and suffering you endured when you found no shelter at the inn of Bethlehem for the Holy Virgin, nor a house where the Son of God could be born. Then, being everywhere refused, you had to allow the Queen of Heaven to give birth to the world’s Redeemer in a cave. I ask it by that painful torture you felt at the prophecy of holy Simeon, which declared the Child Jesus and His Holy Mother future victims of our sins and of their great love for us. I ask it through your sorrow and pain of soul when the angel declared to you that the life of the Child Jesus was sought by His enemies. From their evil plan you had to flee with Him and His Blessed Mother to Egypt. I ask it by all the suffering, weariness, and labors of that long and dangerous journey. I ask it by all your care to protect the Sacred Child and His Immaculate Mother during your second journey, when you were ordered to return to your own country. I ask it by your peaceful life in Nazareth where you did meet with so many joys and sorrows. I ask it by your great distress when the adorable Child was lost to you and His Mother for three days. I ask it by your joy at finding Him in the Temple, and by the comfort you found at Nazareth, while living in the company of the Child Jesus. I ask it by the wonderful submission He showed in His obedience to you. I ask it by the perfect love and conformity you showed in accepting the Divine order to depart from this life, and from the company of Jesus and Mary. I ask it by the joy which filled your soul, when the Redeemer of the world, triumphant over death and hell, entered into the possession of His kingdom and led you into it with special honors. I ask it through Mary’s glorious Assumption, and through that endless happiness you have with her in the presence of God. O good father! I beg you, by all your sufferings, sorrows, and joys, to hear me and obtain for me what I ask. Obtain for all those who have asked my prayers everything that is useful to them in the plan of God. Finally, my dear patron and father, be with me and all who are dear to me in our last moments, that we may eternally sing the praises of Jesus, Mary and Joseph. St. Joseph, Guardian of the Holy Family, Pray for Us! © SalveMaterDei.com, 2013. St. Joseph, Foster-Father of Jesus, Holy Spouse of the Blessed Virgin Mary, powerful intercessor and patron, Please Pray for us! My son posted this reflection on his site (God Alone Sufficeth)regarding his experieces at this year’s March for Life 2014. 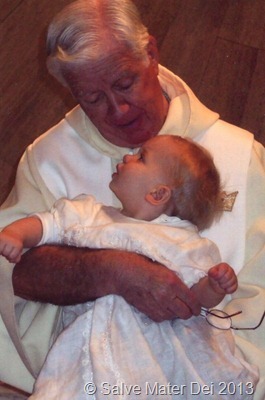 He had the privilege to travel with an outstanding group of young adults and bear witness to the Sanctity of Life. One week ago today, I was arriving in Washington D.C. with my group from the great state of Wisconsin to participate in the 41st. annual March for Life. It was a tremendous blessing and honor to again attend this event. As a Catholic Christian, I prayed for an end to the scourges of abortion, euthanasia and the countless other abuses of the human being’s right to life with dignity which the legalization Roe vs. Wade has facilitated. As an American Citizen, I exercised my right to“peaceably assemble and to petition the Government for a redress of grievances,” guaranteed under the 1st. Amendment to the Constitution of the United States. As the season of Advent heralded the Birth of Christ, and Christmas joy leads to the anticipation of the coming of a New Year, I find myself counting my blessings. At this evening’s Holy Mass, celebrated on the Vigil of the Feast of the Holy Family, my prayer seemed a veritable grocery list of gratitude. I am grateful for the abundance of God’s grace – for my family, and for the multitude of blessings that God has bestowed upon each of us in His goodness. As I reflect upon each of these gifts, the common thread that unites them all is Christ’s Love: for His LOVE is truly all that fundamentally matters. 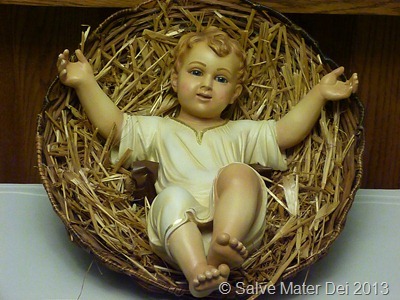 May the Newborn Christ touch your heart and mind and soul with His tiny Hands © SalveMaterDei.com, 2013.
that He needs you in His Mystical Body. That you might become Christ-centered, Love-centered. And then make Christ wait to receive their love. of His Love for you. of our Religion and our Faith. 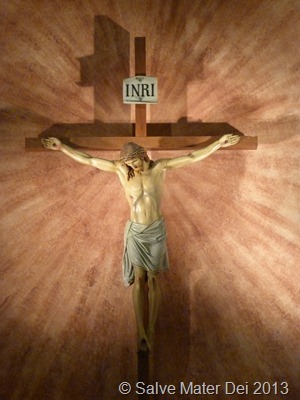 Perfect Christ-Centered Love © SalveMaterDei.com, 2013. Fr. 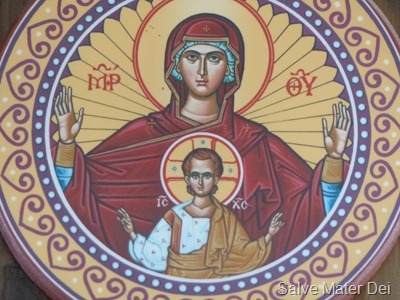 Cyril mentioned that the ideal icon depicting this image was that of the Christ Child contained within the Blessed Virgin, the Most Holy Theotokos. For no other individual so perfectly lived Christ-centered Love. Our Lady was aware of His Love for Her, and in turn became a living conduit of Christ’s Love for all humanity. Thus, we too are called to become similar icons – placing Christ and His Love at our very center and essence, and living that love accordingly. Hail Mary, Full of Grace! © SalveMaterDei.com, 2013. The Solemnity of the Immaculate Conception is one of the most beautiful celebrations in the liturgical year. Today we commemorate the singular grace and privilege that God Himself bestowed upon Our Heavenly Mother: namely that she was conceived without the stain of Original Sin. Through this feast we are invited to thank God for the tremendous grace with which He has endowed Our Lady, and also to seek Her powerful maternal intercession for ourselves. The privilege of being the Immaculate Conception is unique in Salvation History. Never before – nor ever again – has a mere creature been given so great a gift. Yet the gift is truly fitting when one contemplates the solitary role Our Lady was to occupy within God’s Divine Plan. The Blessed Mother was to provide a pure Tabernacle of human flesh within which Our Divine Savior was to rest and grow for nine months. In anticipation of Mary’s fiat, Our Lord prevented the disfigurement of Original Sin from ever touching her Immaculate Soul- His gift of grace to Our Lady who existed absolutely and totally replete with grace from the first moment of her being. Indeed, the Angel Gabriel greets the Blessed Mother not with the words “Hail Mary,” but rather “Hail Full of Grace.” The Greek word, kechatitomene (Kεχαριτωμένη) is used exclusively to name the Blessed Mother, and it means full (overflowing) with grace. 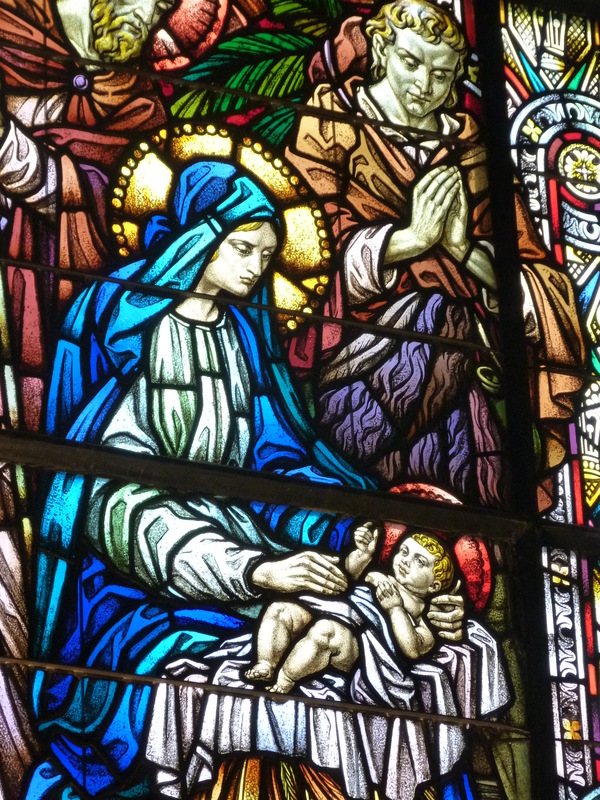 The connotation of this word is that Our Lady, was so brimming with the gift of God’s grace that there was not even an iota of room for anything opposed to that grace. My Koine Greek is pretty rusty, but what I remember is that kechatitomene is in the aorist tense – a past perfect tense denoting an action that was begun in the past, but continued into the present. Mary was conceived sinless, and that state continued into present. When God uses a word in place of a person’s name or renames an individual, it bears deep significance as it reflects the very being and mission of the individual. Recall for example that: Abram (exalted father) was renamed Abraham (father of many nations), Jacob wrestled with an angel and was given the name Israel (contended with God), Simon the fisherman was renamed Peter- the Rock, and the Pharisee Saul was transformed into the Christian Paul. Thus, when the Angel of the Annunciation refers to the Blessed Mother, not by her given name of Mary, but rather as “kechatitomene,” it reflects the past of her sinless conception, the present of the moment of the Annunciation, and the future of her mission as the Immaculate Conception – a mission which continues to this very day. In the United States of America, devotion to Our Lady under the title “Immaculate Conception” has early antecedents. For example, a feast of the Immaculate Conception was celebrated in all the Spanish colonies, and established as a Holy Day of Obligation by the First Provincial Council of Lima in 1552. Franciscan Missions to Our Lady under this privileged title include: Convento de Inmaculada Concepcion in St. Augustine, Florida (established in 1573), and La Purisima Conception Mission in New Mexico (1629) and La Purisima Concepcion in California (1787). The renowned Jesuit explorer, Pere Jacque Marquette explored the Mississippi River, and not only entrusted his perilous expedition to Blessed Virgin, but also renamed the Indian Village of Kaskasia “Immaculate Conception of Mary,” as well as renamed the Great River: “Conception River.” Fr. 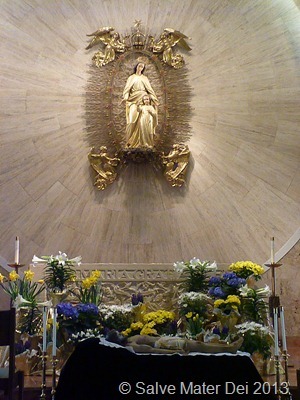 Marquette’s devotion to Our Lady under this title also included spreading a devotion to the Chaplet of Our Lady, the Immaculate Conception, a chaplet he himself created in Her honor. 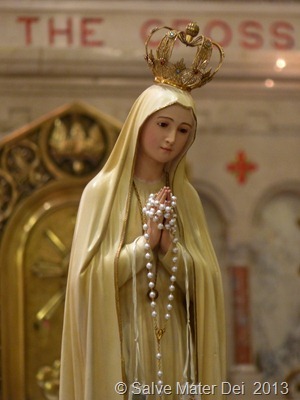 As early as May 17, 1846 Our Lady was proclaimed patroness of the entire country under this privileged title by the bishops if the United States at the Sixth Provincial Council of Baltimore. From early antiquity, a belief in the doctrine of the Immaculate Conception is evident through the writings of the early Church Fathers. Even before the dogma of the Immaculate Conception was officially promulgated by Pope Pius IX December 8, 1854, in his papal bull Ineffabilis Deus, this doctrine was widely espoused and celebrated, not only in Europe, but also in the United States. In 1884, the bishops of the United States united at the Third Plenary Council of Baltimore to require that the feast be celebrated as a Holy Day of Obligation by all dioceses in the United States. This decision received the full approbation of Rome in 1885. We have a rich history of celebrating the immense privilege that God has bestowed upon Our Lady. Throughout the centuries She has shown Herself to be responsive to the supplications of Her beloved children, especially when they invoke Her under this title. As our nation faces unprecedented threats to Religious Liberty, let us unite on this Solemnity of the Immaculate Conception to thank God for the graces He has bestowed upon Mary, and to invoke Her Intercession for ourselves and nation. 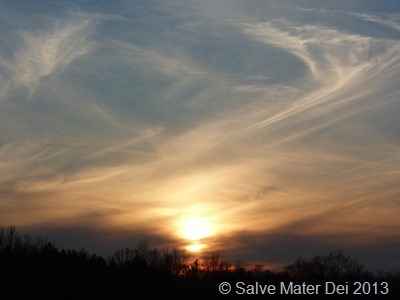 “Let us casts off the darkness and put on the armor of light.” © SalveMaterDei.com, 2013. 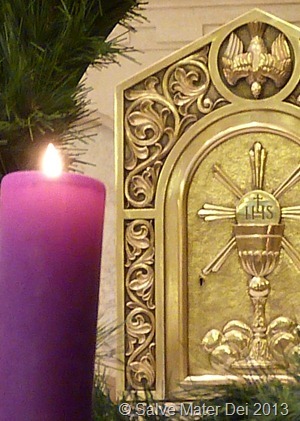 Blessed Advent! 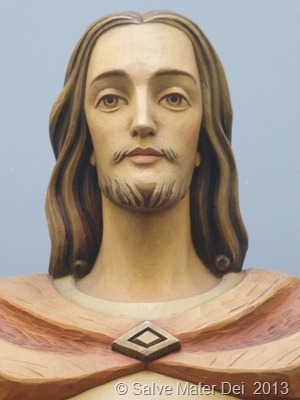 With the Vespers last night and Holy Mass this morning, those of us in the Roman Rite and the West marked with beginning of the Season of Advent: those four special weeks of prayer, penance, pondering and purification in preparation for the Birth of Our Lord and Savior, Jesus Christ. Today, I was fortunate to attend Holy Mass celebrated at Holy Hill by a spiritual father and friend, Fr. Cyril Guise, OCD. The central theme of Father’s homily was the Pilgrimage of Advent. I was so touched by his wisdom that I requested permission to share a bit of it here. “Today we embark upon a pilgrimage. 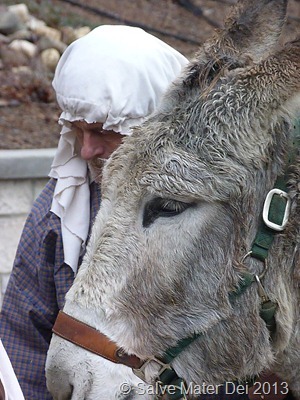 . . a Journey from Nazareth to Bethlehem.” © SalveMaterDei.com, 2013. This message is so simple, yet absolutely essential to the meaning of Advent and Christmas. Advent is a journey – we are traveling from where we are to where we long to be. There are a myriad of hazards on the way – bright lights, distractions, and social and family obligations – all mingle and compete for the limited hours of a few short weeks which comprise this sacred season. While the festivities and joy of this season are indeed a blessing and can facilitate kinship with others, they can also detract from our primary task, which is to prepare for the coming of the Lord. We are called to prepare our hearts to receive the real Divine Infant. © SalveMaterDei.com, -2013. Fr. Cyril reminded us that while the embellishments of Christmas are indeed lovely and can stir within us sentiments of devotion, they are impermanent. The crèche of wood and straw and the babe of plastic, plaster of Paris, wood or even marble is a mere image, and as such is transient and fleeting. We are called to find the real Jesus, to prepare our souls and find Him waiting deep within our own hearts. Having begun to delve into Pope Francis’ new Apostolic Exhortation Evangelii Gaudium (available as a pdf download from the Vatican website at: http://www.vatican.va/phome_en.htm), today’s homily resonated deeply with the theme of joy presented in the initial pages of the Holy Father’s document. Paragraph 5 begins with, “The Gospel, radiant with the joy of Christ’s Cross, constantly invites us to rejoice (Evangelli Gaudium, 2013)”, and continues with a multiplicity of scriptural citations demonstrating the call to joy. We are indeed called to joy. However, like small children we are often more intrigued by the brightly colored wrapping than the gift itself. As such, we tend to be willing to trade true and lasting joy for the ephemeral baubles and trinkets offered along the way. True joy is of the heart and is demanding; it requires perseverance but is well worth the effort. In contrast transitory pleasure is by definition incapable of perseverance; it is sought after, consumed and just as quickly gone and forgotten. Through Advent we are called to open our hearts to authentic joy and journey toward receiving it. Yet, as Fr. Cyril counseled, receiving such a gift requires anticipation and readiness. Like the Blessed Mother, we have the opportunity to travel from Nazareth to Bethlehem in our hearts, and prepare a place for He Who Is the ultimate source of joy to dwell forever. 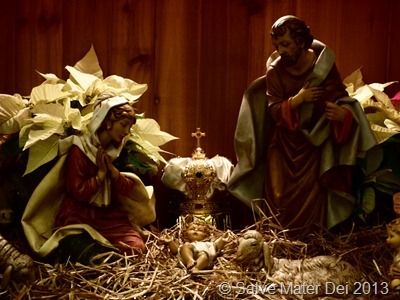 “May the God of Peace Make You Perfect in Holiness.” © SalveMaterDei.com, 2013. Fr. Cyril mentioned that when we are expecting a guest to enter our home, we prepare; we clean the house, dust, vacuum, wash the windows, etc. In just the same way we are called during Advent to prepare the dwelling place of our hearts for the Divine Guest. It’s time to sweep out the cob-webs, shine a light into the darkest recesses and make ready for the King of Kings and Lord of Lords. Thus, these weeks of prayer, penance, pondering, and purification cleanse our hearts and ready an appropriate crèche for He Who Is Not Made by Human Hands. Yes, the expedition from Nazareth to Bethlehem is arduous and requires our vigilance and consent. Perhaps the best way to initiate this journey is, like Our Lady, to offer Our Lord our own fiat, our unreserved “YES”, each and every morning. In so doing, we allow Our Lord to lead us toward the joy He has prepared for each and every one of us. Joyous Feast of St. Andrew! As this feast is celebrated in both the Western and Eastern arms of the Church, it is one of my favorites. Intuitively, there seems to be something significant in beginning Advent with the feast of a martyr and an apostle. It is as if we are subtly reminded that this season is meant to be one of penance and evangelization. Scripture and Sacred Tradition tell us much about St. Andrew. He and St. Peter were the sons of Jonas, and they lived in Bethsaida, which was a town in Galilee on the shores of the Genesareth. As we examine St. Andrew’s life, there are lessons that may translate into a more personally fruitful Advent. Later, when St. John the Baptist identifies Jesus by stating: “Behold the Lamb of God,” St. Andrew is again prepared to forsake his spiritual security in order to embrace a deeper relationship with the Messiah. For St. Andrew to follow Jesus Christ from Capernaum to Jerusalem, he must leave John the Baptist to his mission in the desert. This Advent, we too can grow beyond the comfort and complacency of our spiritual security, by reaching for a closer union with Jesus. Like St. Andrew, Jesus asks us to risk that which matters most in our lives. Similarly, Jesus asks us to place it all- our fears, dreams and lives- in His hands with confidence. 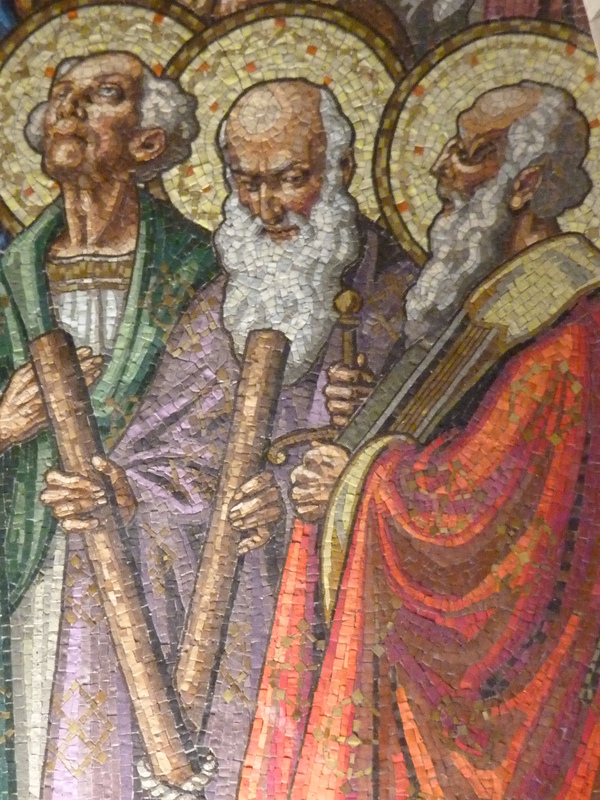 Once St. Andrew finds Jesus, he introduces Him to his brother Peter. This Advent, we can bring Jesus to those around us. Like St. Peter, they too may feel the call to forsake everything and follow Him. Evangelization doesn’t necessarily mean shouting from the roof-tops (not recommended in the slippery, frozen tundra of Wisconsin). Rather, just by quietly living Christmas as Christians, we bear witness, and bid others to do the same. We are called to invite- He will do the rest. St. Andrew accepted Jesus’ command to: “Go forth to all Nations, baptizing them in the Name of the Father, and of the Son, and of the Holy Spirit… (MT 28:19).” He traveled beyond his comfort zone preaching the Good News along the Baltic, into what are now Russia, Romania and the Ukraine. St. Andrew was later martyred in Patras, Greece, where he was tied to a cross. 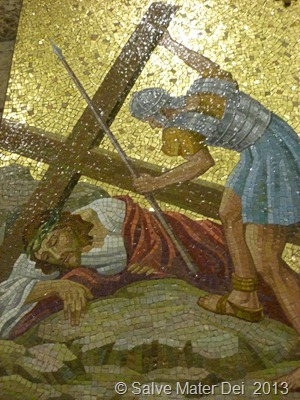 Tradition holds that St. Andrew was crucified on an x-shaped cross out humility- not feeling worthy to die as Our Lord. This Advent, if we embrace our crosses with similar humility it can’t help but bear fruit. One of my favorite things about this feast is the novena which begins on that day (November 30). 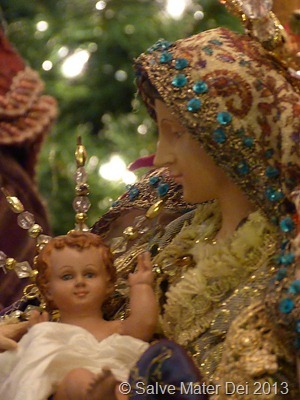 This novena is a poignant reminder of what really matters during this Sacred Season. The repetition of this lovely verse provides a rhythm that gently flows from day to day- reinforcing the true meaning of Christmas. The rhythm is strong enough to offer an oasis for those of us seeking respite from the chaotic noise of the secular season. It is piously believed that whoever recites the following prayer fifteen times a day from the Feast of St. Andrew to Christmas Eve will obtain their request. Hail and Blessed be the Hour and the moment in which the Son of God was born of the Most Pure Virgin Mary at midnight in Bethlehem, in piercing cold. 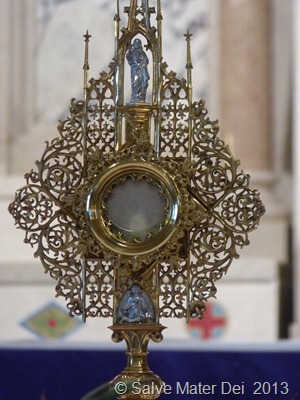 In that hour vouchsafe, O my God, to hear my prayer, and grant my desires through the merits of Our Savior, Jesus Christ, and of His Blessed Mother. One may choose to recite all fifteen prayers at once, or it can be or broken up and prayed throughout the day- perhaps with the meal prayer or the Angelus. I have been praying this novena annually for fourteen years, and have never been disappointed. One Advent, I was reciting this prayer for the child I was carrying. It was a dangerous pregnancy for the baby and I- there was a real chance that both of our lives were in jeopardy. My beautiful, healthy baby girl was born (one month early) exactly ten days after the novena ended. A year later, I prayed this novena for my Dad and his conversion. He was officially received into the Catholic Church fourteen days after the novena ended, and died of cancer just sixteen days later. Each year I have prayed it, I have truly felt an abundance of grace. This novena is powerful!!! I invite you to join my family as we pray the Christmas Novena this year.